In every life, there are a few times when opportunity presents itself in a way that literally shakes people to stop what they’re doing and pay attention. 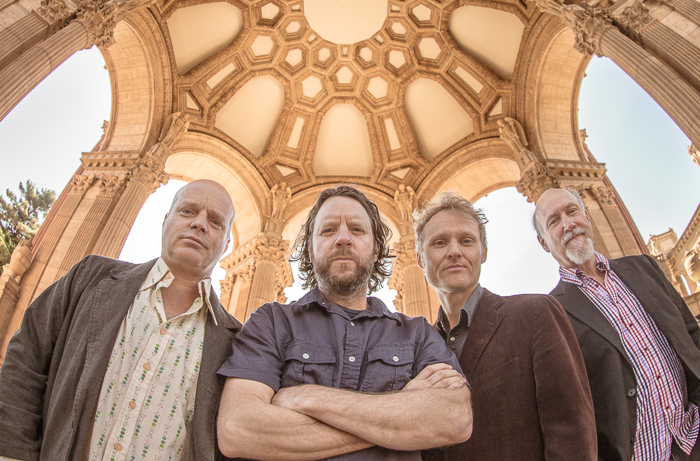 For experimental jazz-funk band Medeski Martin & Wood, one of those opportunities came in the form of an out of the blue answering machine message in the late ’90s. Despite the success of A Go Go, the inaugural Medeski, Scofield, Martin & Wood tour didn’t happen on the heels of the album’s release. “Billy Martin had his first baby around then and was staying home during the time the record came out so we ended up doing a tour with myself, Chris Wood and Clyde Stubblefield from James Brown’s band as the rhythm section for Sco and that tour was a blast. Getting to play with Clyde was a very different sensibility than playing with Billy,” said Medeski.